Our friends over at Engadget appear to have got their hands on a prototype PlayStation PSP Phone that has been rumored as Sony’s next big move in handhelds. 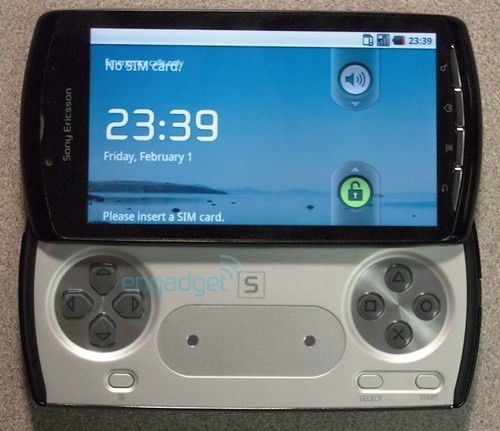 The device, shown in the image above, is reportedly expected to run Android 3.0 with a Sony app Marketplace. Specs for the device are rumored to include a 3.7 to 4.1 inch display, 1GB of ROM, 512MB of RAM, and a 1GHz Qualcomm MSM8655 chip. There also appears to be support for microSD cards. While the device is reported to be “rather buggy”, this is definitely a good sign for those with high hopes for Sony’s smartphone entrant.